Patriotic Scene Ornament. "God Bless America". 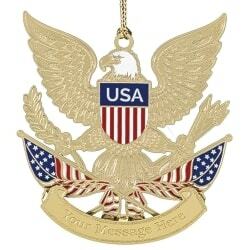 Made in the USA from the finest materials and is packaged in an elegant gift box.